If you are looking for a fancier printing technique to achieve a more glamorous result, then why not consider Diamante printing? 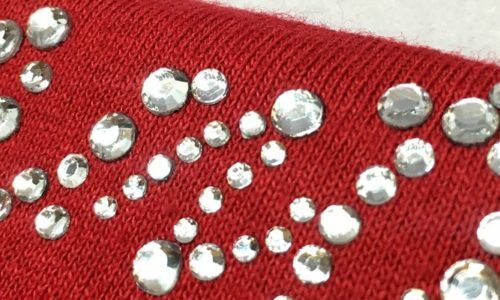 Diamante printing is the process of applying diamante or rhinestones to a garment through the use of heat. Each machine cut stone is placed with precision by a robot and is then sealed onto the garment with a heat press to create a high quality finish. The result can be quite subtle by applying only a few rhinestones or really eye-catching by bedazzling the garment with a high amount of rhinestones. There is no limit to creativity. 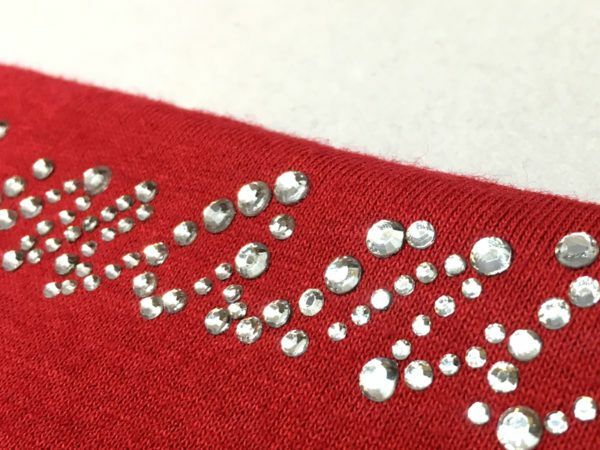 If you prefer glitter to rhinestones, then why not getting your garments glitter printed ? Garment Printing has over 40 years of experience in personalised clothing and we offer you the opportunity to diamante print your garment of choice. Create your unique clothes and accessories with the most advanced printing techniques and make your outfit stand out from the crowd with customised diamante printed garments. Whether it is for a special occasion or simply to personalise your clothes with your own design. This is a great personalisation technique as it can easily be combined with others to create an even more eye-catching design. 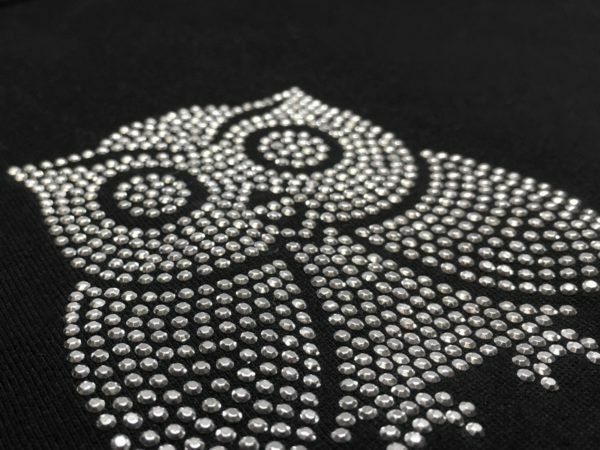 The rhinestones can be used in association with printing techniques such as direct to garment (DTG) or screen printing. At Garment Printing we are always making sure to exceed our customer’s expectations due to the fact that we are using state-of-the-art machinery and the best printing techniques. Further, we are working together with the world’s leading supplier to make sure that our garments are of best quality. Diamante printing is a fantastic way to stand out from the crowd as you will no doubt catch people’s eye with this sparkly finish. With rhinestones in a variety of colours, you can really have fun with this technique. It is a great method for everyone who likes to be creative and who likes sparkly things. It also looks great when reproducing lettering and both small and large designs. In addition, it is a great choice for printed T-Shirts for hen parties as well as for fashion resales. Learn more about how heat Transfer printing works here. If you would like to get your own personalised diamante printed garment then get a quick and free quote here. We are offering various printing techniques!